In an effort to spur greater research into self-driving car safety, automotive tech firm Aptiv is releasing a massive data set to the public. Called NuScenes by Aptiv, it’s made up of sensor data from Aptiv self-driving cars harvested during testing on public roads. Aptiv claims it is the largest data set of its kind to be made available to the public. “We appreciate the importance of transparency and building trust in AVs [autonomous vehicles],” Karl Iagnemma, president of Aptiv Autonomous Mobility, said in a statement. The kind of data being released “has traditionally been kept confidential with academic communities, cities, and the public at large,” he said. The NuScenes by Aptiv data set includes 1.4 million images, 390,000 lidar sweeps, and 1.4 million 3D “human annotated bounding boxes,” according to Aptiv. The data is organized into 1,000 “scenes” representing real-life driving scenarios from the streets of Boston and Singapore, the company said. To date, over 1,000 users and 200 academic institutions have registered for access to the data set, according to Aptiv. The fact that data comes from Boston and Singapore indicates it was collected by NuTonomy, an autonomous-driving tech startup bought by Aptiv predecessor Delphi in 2017. 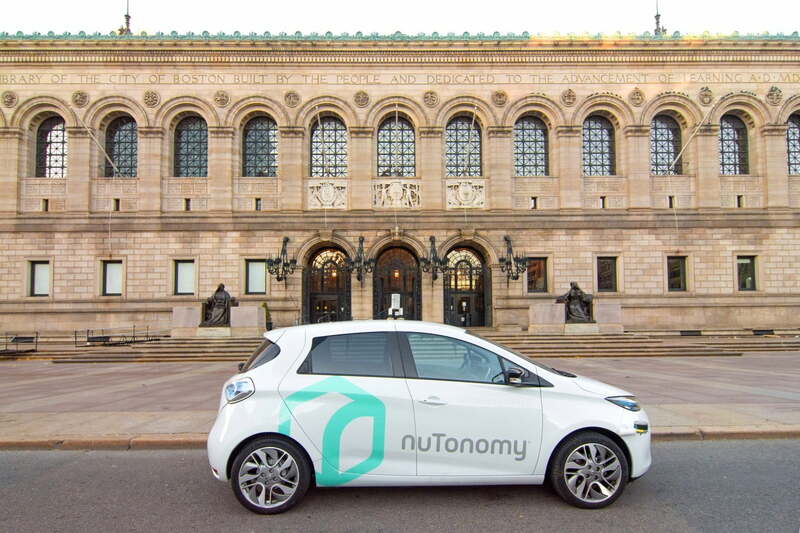 NuTonomy launched a pilot autonomous-taxi service in Singapore in 2016, and also worked with Lyft on an autonomous ride-sharing pilot in Boston, its hometown. A novel point of the Boston pilot is that it uses modified Renault Zoe electric cars — a model not sold in the United States. The French cars were originally confined to a small area of Boston’s waterfront, but are now free to roam throughout the city. Aptiv was originally the automotive supplier Delphi, but in 2017 the company reorganized itself to focus on autonomous-driving tech. In addition to the test programs that originated with, NuTonomy Aptiv operates a fleet of modified BMW 5 Series sedans in Las Vegas. You can even hail one using the Lyft app. Self-driving car safety continues to be a controversial issue roughly one year after an Uber test vehicle struck and killed a pedestrian in Tempe, Arizona. The first known fatality involving a self-driving car, it highlighted issues with the technology, but did not appreciably slow its deployment. While many Americans appear uneasy about autonomous cars hitting the road, companies are pushing ahead with new and expanded test programs. Modem vs. router: What's the difference?